Ideal for Hard Driving, Drifting, Track Use or normal street driving. Provides firm steering wheel response and road feel. Made of Aluminum for Durability and Maximum Strength. The brackets are made from Carbon Steel for Outstanding Reliability. Brace is Polish finish for Increase awesome look. Kit includes Both Left & Right adapter brackets and necessary hardware for installation. 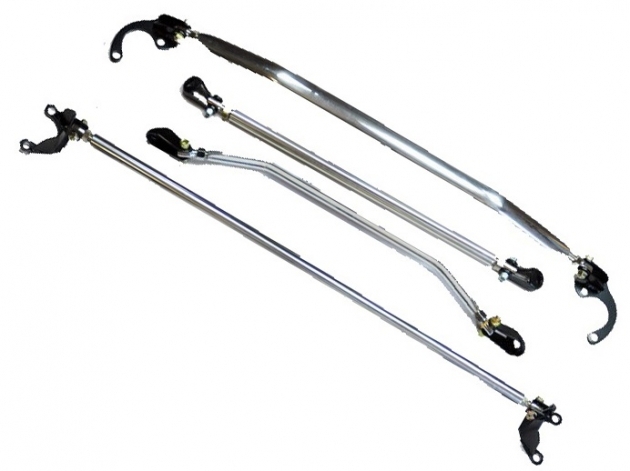 An Easy a Perfect Suspension Upgrade will dramatically improve handling and road feel.